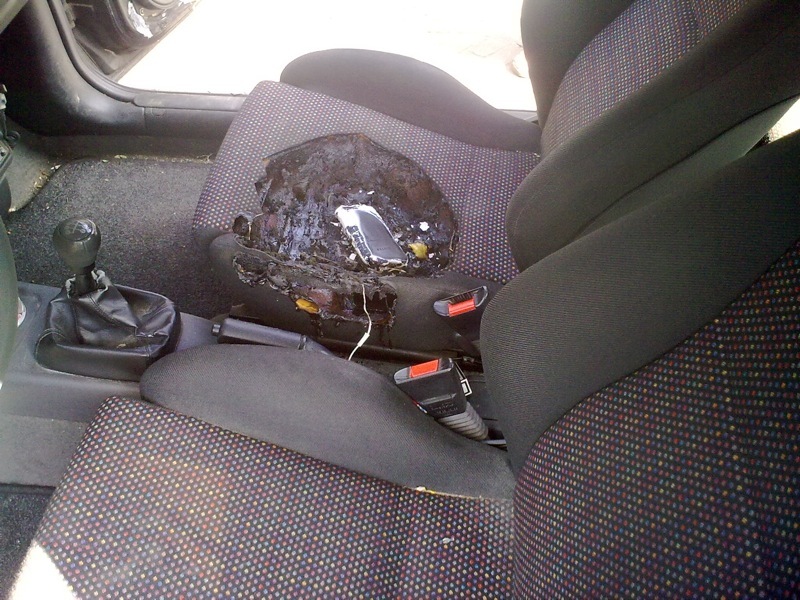 Pieter from Leiden, The Netherlands has left his iPhone 3G in his car and found smoke in his car. 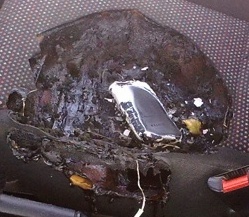 The smoke caused by a burning passenger seat started by the iPhone 3G (with a Belkin case). Pieter has contact Apple and T-Mobile in the Netherlands and both refused to take responsibility. iPhone owners in Saudi Arabia should be extra careful about forgetting their iPhones in their cars in this hot Saudi Summer. hey evry1 the new iphone 3GS is for sale at itechia on Tahliya street riyadh for 5000 riyals. They are selling the white and black ones. can you give us more info? so ppl with iphones be carful some times with a constant data roaming it gets really hot ! yeah, it’s a bad idea to leave the iPhone in your car in Saudi Arabia in this weather! what are the advantages to get Apple iphone in Blackberry phones? Do u think Apple iphone we can buy in Batha is good quality& original? bcoz i am female & i can not go easily somewhere else than Batha.